A pattern of dupery has emerged across the nation, as a number of Democratic candidates for office in generally Republican states have tried to obscure their more sharply leftist positions from moderate voters, according to their own staffers and close supporters caught on hidden camera. In Texas, Indiana, Missouri, North Dakota, Tennessee, Arizona, and Florida, candidate after candidate have been revealed to leave some hot-button policy position locked in a campaign closet, while wooing voters across states carried in 2016 by then-candidate Donald Trump. 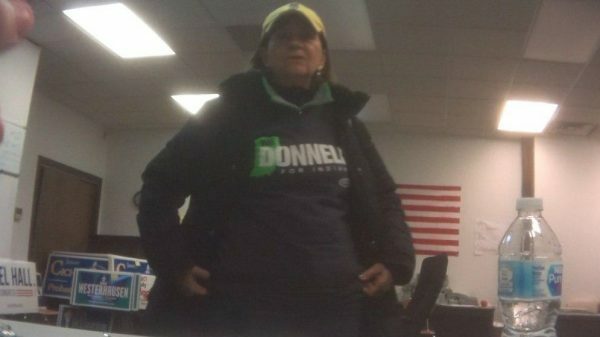 The latest in a series of videos released by Project Veritas Action (PVA) features an undercover reporter chatting with Jill Donnelly, the wife of Sen. Joe Donnelly (D-Ind. ), and others in the senator’s campaign office. “But he supports the unions, right?” the reporter, apparently embedded with the campaign, asks. “Don’t say that to people,” Jill Donnelly replies. “No, sorry. I’m just wondering for myself,” the reporter says. “Yes,” multiple people in the room confirmed. One of them was Tony Flora, president of North Central Indiana AFL-CIO, one of the most powerful unions in the country. “[Sen. Donnelly’s] got like a 98 percent AFL-CIO voting record,” he said. At another moment, Jill Donnelly explained to the reporter how voters’ questions about a union issue should be handled. 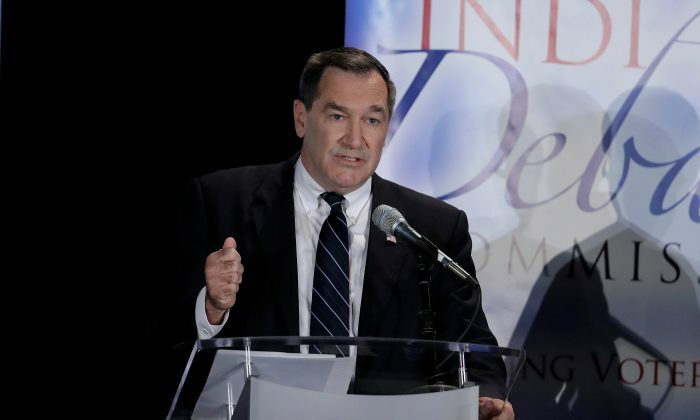 The “it’s-true-but-don’t-say-it” stance of the Donnelly campaign is typical, PVA founder James O’Keefe told The Epoch Times. “A lot of these red-state Democrats have to lie in order to get elected. That’s a condition of them getting elected,” he said. The candidates face a “lose-lose” situation, he said. As Democrats, a significant part of their base is progressive, but in a so-called battleground state, that base alone likely isn’t enough to win the election. It’s one thing to assume O’Keefe’s concept in theory and another to hear it from campaign staffers directly. U.S. Senate candidate Rep. Kyrsten Sinema (D-Ariz.) doesn’t “want to draw too much attention to being progressive,” her campaign field organizer said. “She had to play centrist to move up, become powerful,” another field organizer said. When it comes to supposedly centrist Sen. Heidi Heitkamp (D-N.D.), “if and when she gets re-elected, she’s going to be super liberal,” her digital director said. The campaign to re-elect Sen. Claire McCaskill (D-Mo.) has to “essentially” lie about her support for abortion, and hide that she accepts contributions from Planned Parenthood, some of her campaign staffers said. U.S. Senate candidate Phil Bredesen, a Tennessee Democrat, indicated that he would have voted to confirm Trump’s Supreme Court pick Justice Brett Kavanaugh, but he was lying, according to some of his own campaign staffers. Florida Democratic gubernatorial candidate Andrew Gillum was caught in the same pickle. “Gillum is a progressive. He’s part of the crazy, crazy, crazies,” said one of his campaign volunteers, who’s also his pal from college. Gillum severed ties with the volunteer after PVA released the footage. Other people associated with Gillum’s campaign and the Florida Democratic Party said the candidate is avoiding discussion of some of his more progressive positions, so as to not alienate moderate voters. Months before PVA released the videos, Trump was already cautioning against the misleading rhetoric of many Democratic candidates in battleground states. “It’s wonderful that they say nice things, but they’re never going to give us the vote,” he said at the Aug. 4 rally in Lewis Center, Ohio, referring to Democratic politicians in places he won by a large margin. “It’s amazing when you win a state by a lot of points how even Democrats can like you. Isn’t that crazy?” he said a month later at a Billings, Montana, rally. A month before PVA released its video on McCaskill, Trump had already accused her of feigning support for his platform. Some red-state Democrats were putting out campaign ads so closely aligned with Trump’s agenda they could have come from Republicans, Trump quipped on Oct. 26 at a rally in Charlotte, North Carolina.